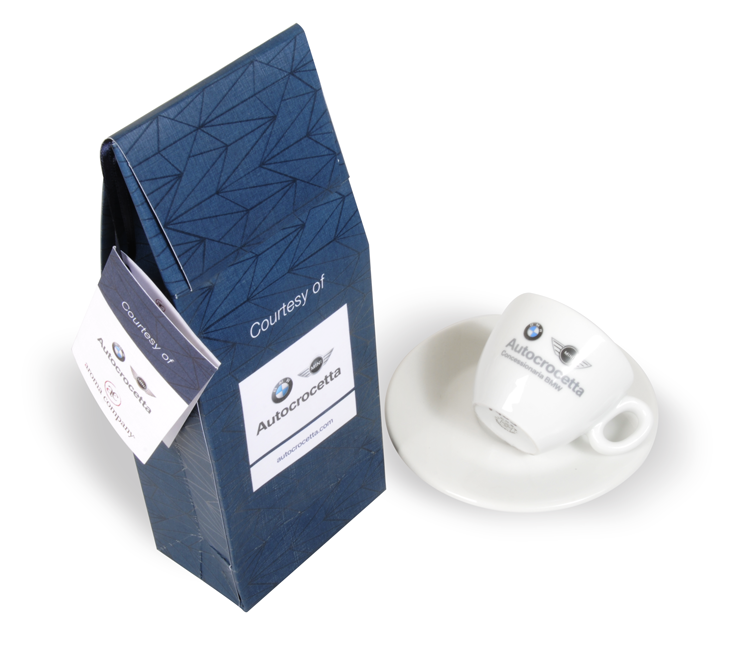 EGO NewCom has developed a concept to brand the Gift Pack starting from the assumption that coffee is a pleasant moment of break to enjoy in private life or at work. The Autocrocetta reference target is mainly composed of men, with a medium-high social status. For this reason, the communicative key used is linked to the Luxury communication register. Our strategic direction considered it essential, in this marketing operation, to create a communicative identity that had strong references to the Autocrocetta Brand by virtue of a strengthening of company loyalty. TEXTURE, created specifically for Autocrocetta, is inspired by the 100 year BMW logo and is still present on the catalogs in use. 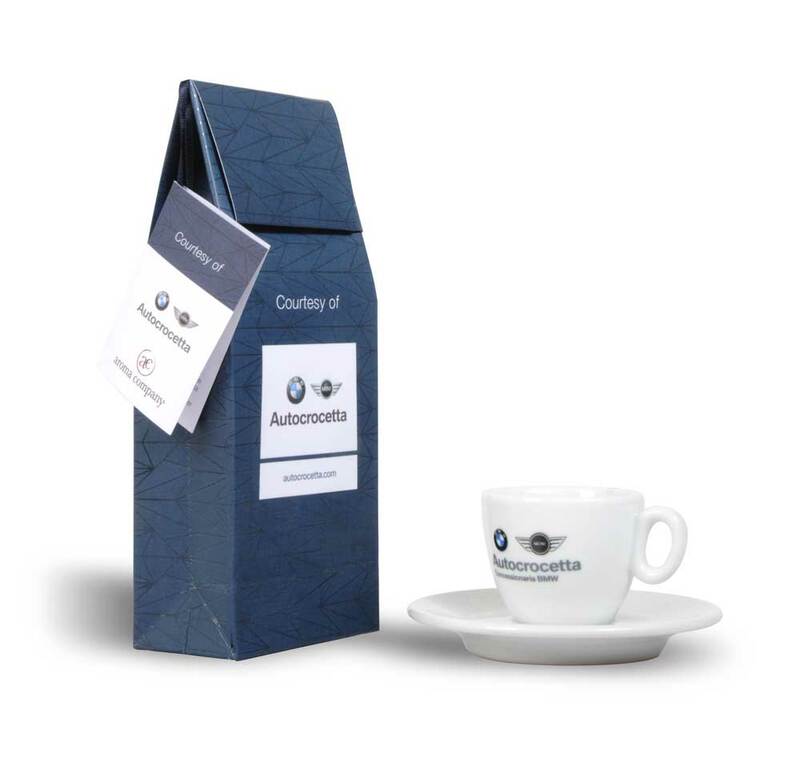 The colors used are BLUE and SILVER: the BLU communicates stability, trust and calm SILVER elevates the pack by entering it in the Premium register and creates a greater connection with the Aroma Company packaging A Leaflet has been added to complete and make the initiative more communicative.